Yep, today's my birthday. 33 feels pretty good. And while I have learned a lot over the years, this is what my previous year has taught me. 1. Taking care of your skin is the only thing that is going to make you look better (besides the knife), so invest ladies. Sunscreen, serums, retinol, and no picking (guilty!). 2. Kids will change your life and make your heart burst out of your body every day. It is awesome. 3. But not so awesome that you do not need alone time and breaks from being a Mom. Moms make 1,347 decisions every day for themselves and everyone in their house. It is a lot and sometimes we just need to go to Starbucks and read Vogue for an hour. Or go away for a weekend and make one decision a day. Red or white. 4. The Internet is the best and worst of everything all at the same time. Seeing professionally airbrushed pictures of celebrities wearing clothes they did not even have to buy, posts of vacations abroad in incredible cities you are not in, perfectly staged gorgeous rooms and kitchens on Pinterest, DIY projects you admire but know will never happen at your house, pictures of pretty much the best moments of every one's life you have ever met and not the worst moments. It messes with your head! But we want to see it, the thing I have learned is to take it for what it is and remind yourself these are glimpses and not reality. 5. Eating good food and drinking good wine are necessary for happiness. Spring for the slightly nicer bottle every time. And always treat yourself each day. And I am not talking about a square of dark chocolate, Jessica Alba, I am talking about real indulgence. Butter, extra cheese, ice cream, crumbled bacon. Not all the time, but once a day at least. 6. Sleep is everything. It cures everything, it makes you a better person, makes your skin look good, and you can never have too much. So enjoy it when you can get it. And if you are not getting it (looking at you new moms), I wish for you restful nights and early bedtimes very soon. 7. Be grateful. Every day. Even when it is the worst day ever. Excited for the next year and what it will bring. PS: Thank you for all your votes on my outfit for tonight. I will post later when I am all dolled up! Happy birthday Erin! 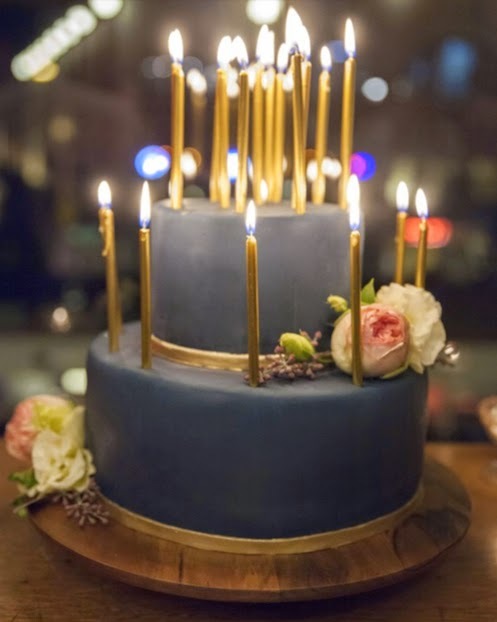 You share the same birthday as my husband - but a few years younger ;) Love this post, especially #6. I totally agrees it fixes everything. Have a great time celebrating!